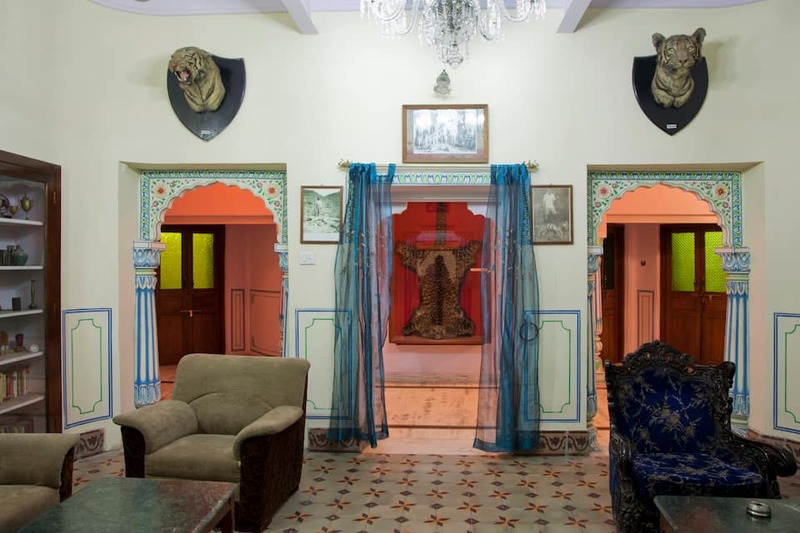 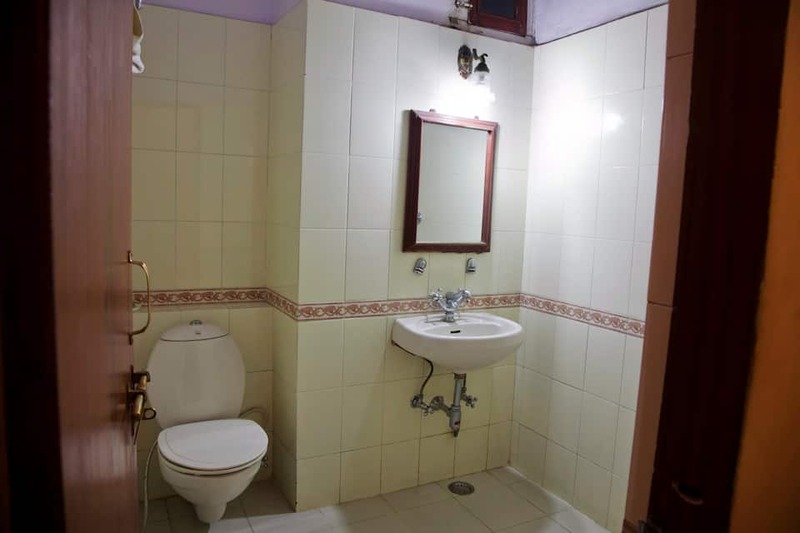 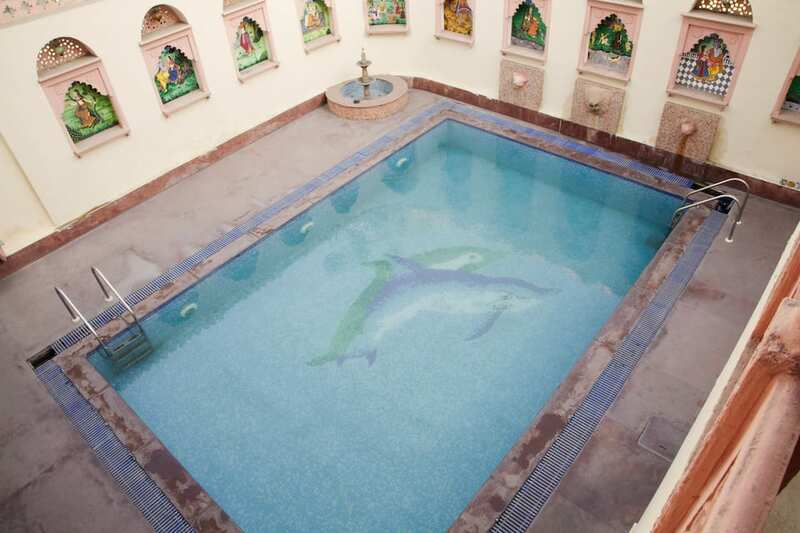 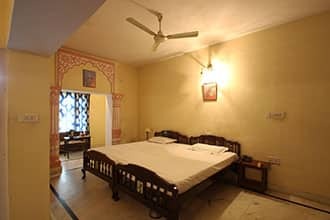 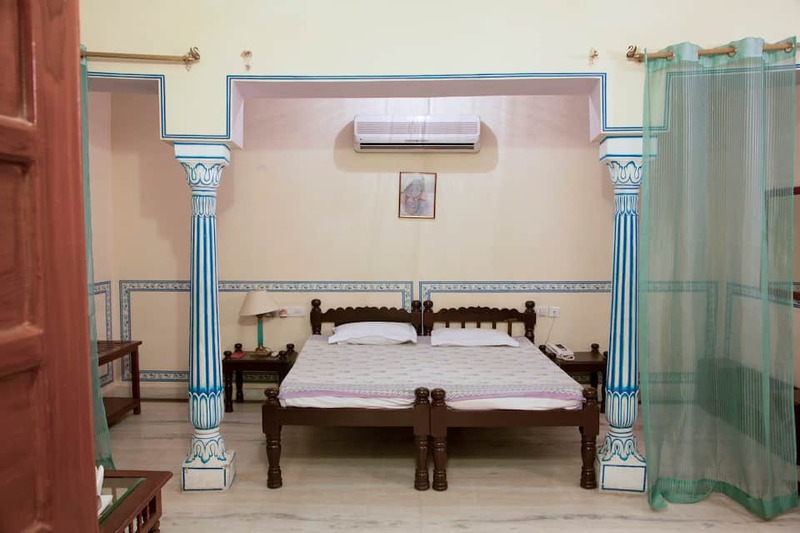 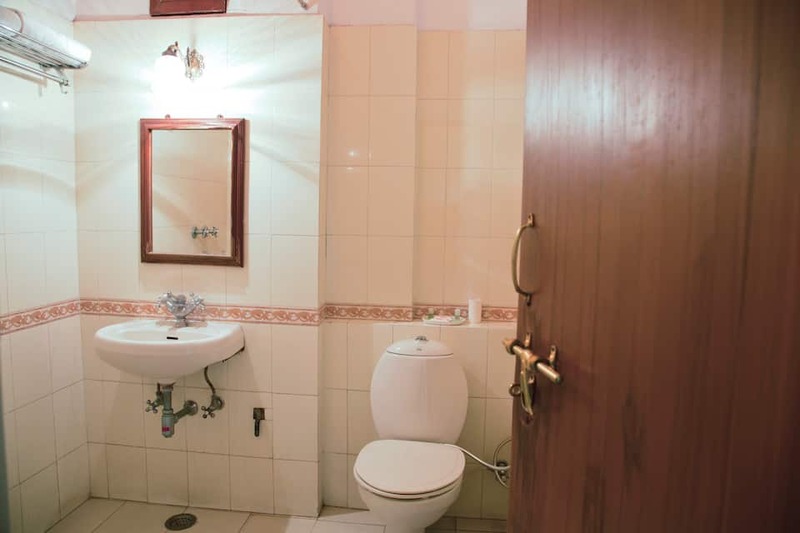 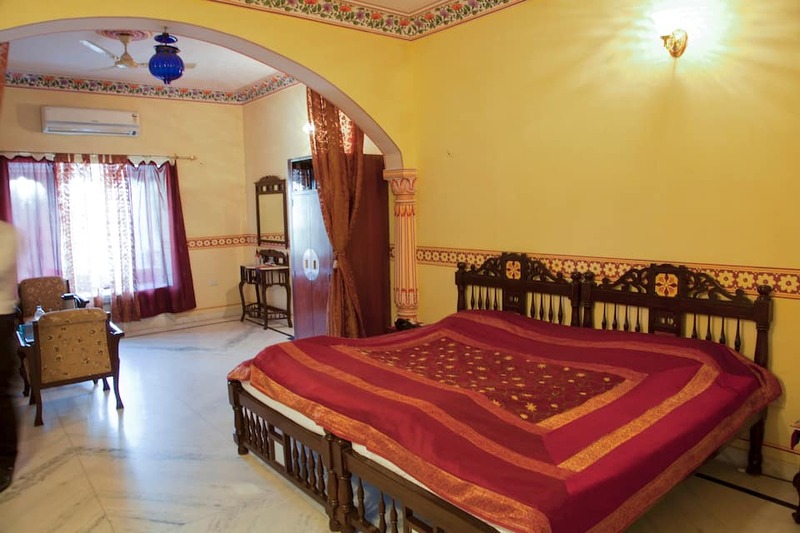 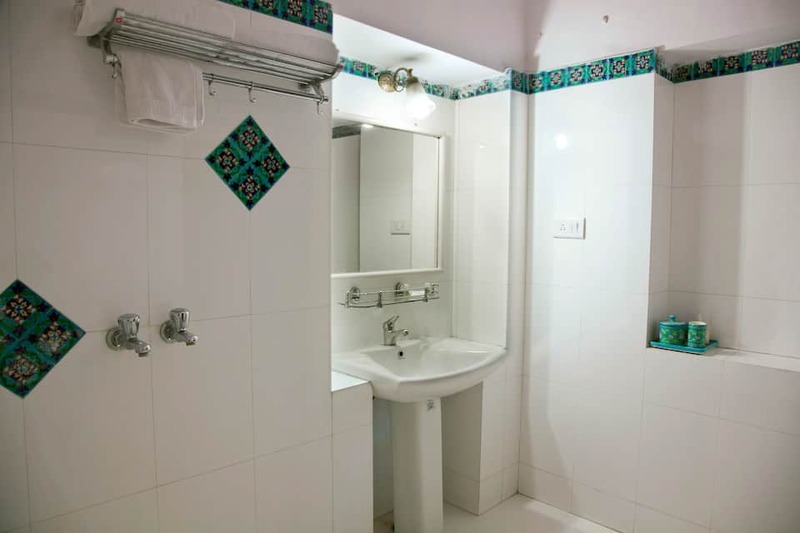 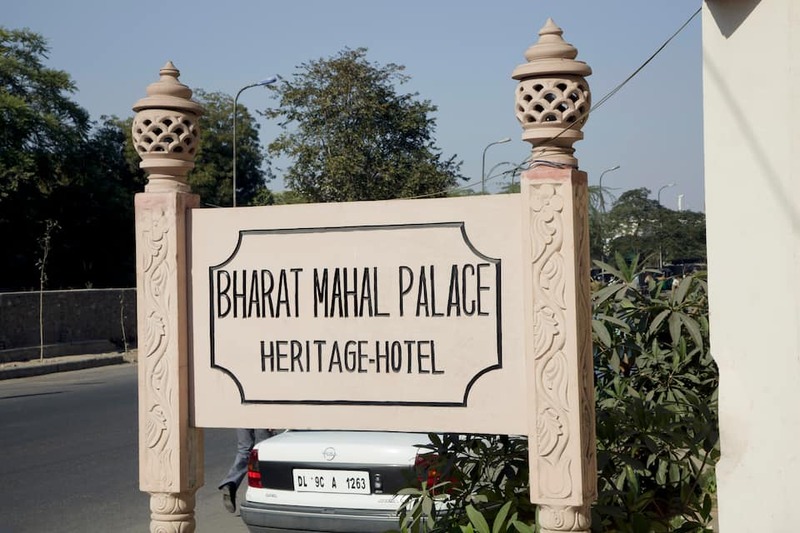 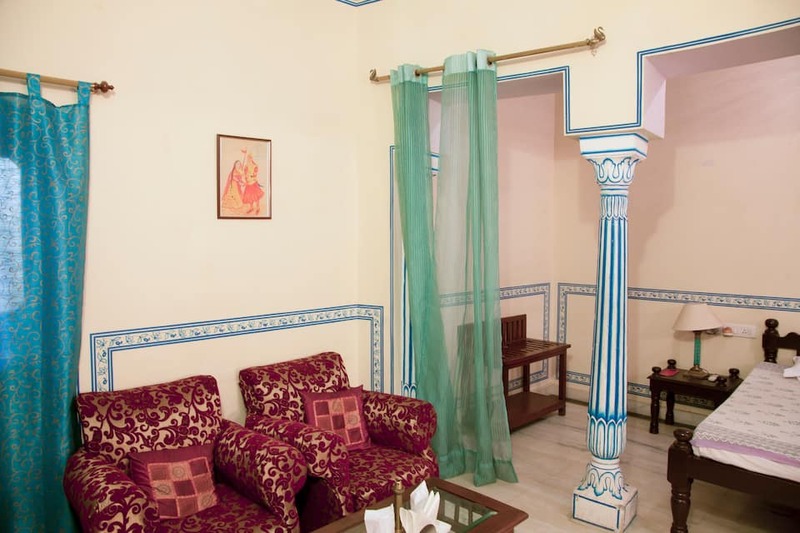 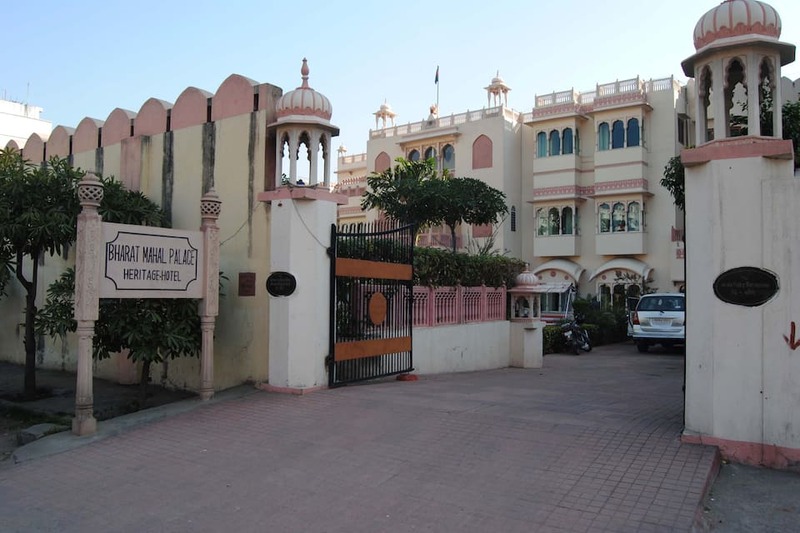 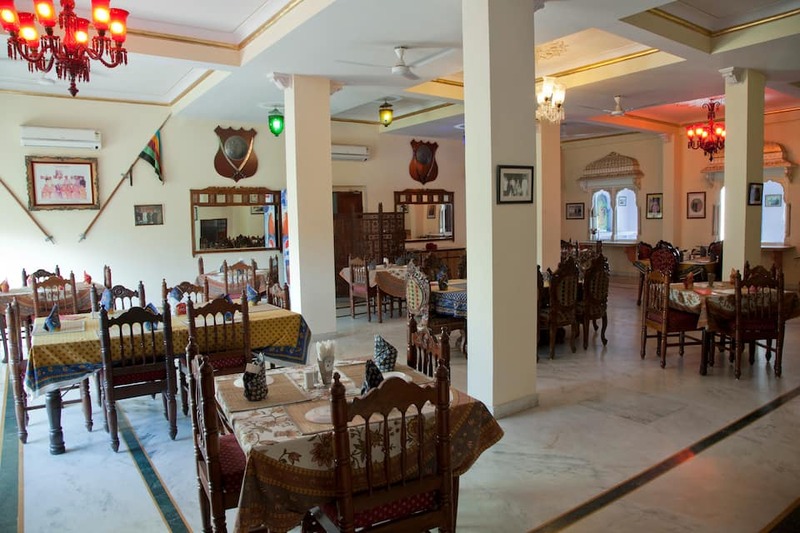 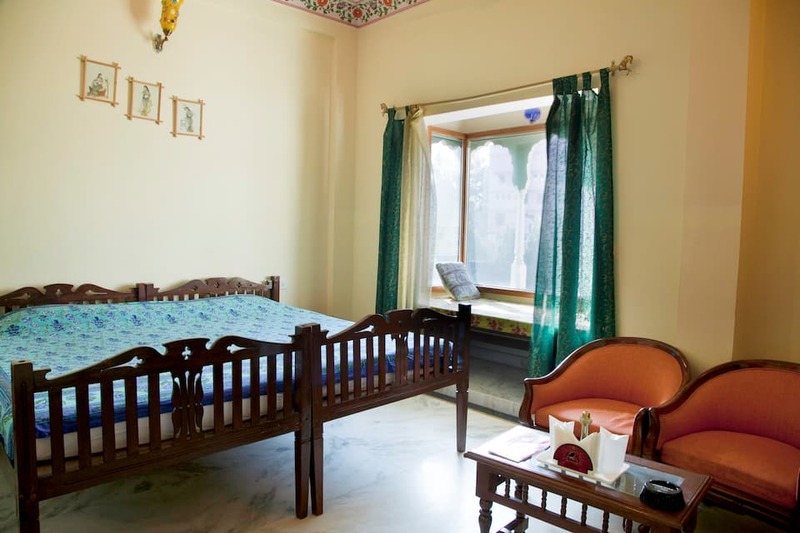 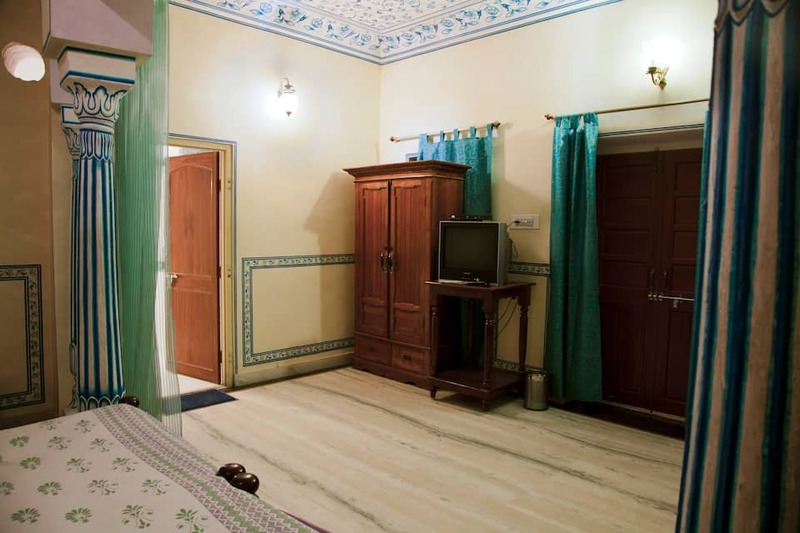 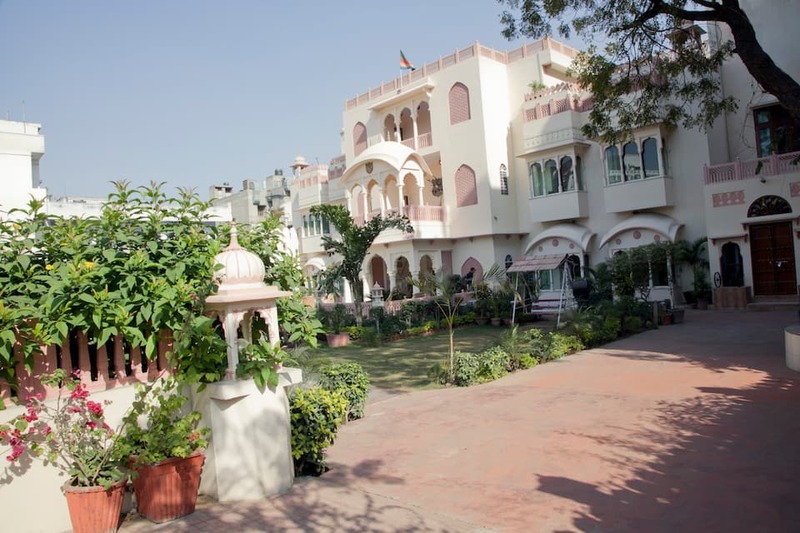 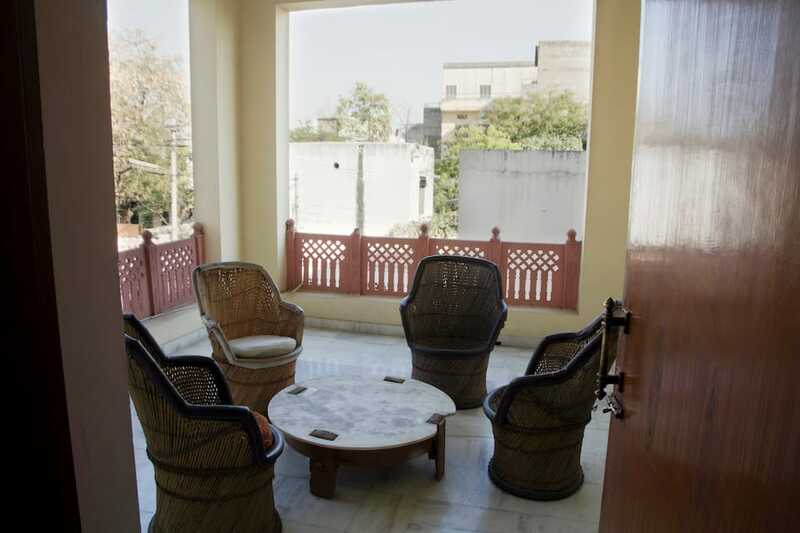 Bharat Mahal Palace is approximately 11 km from the Jaipur International Airport and 5 km from Jantar Mantar. 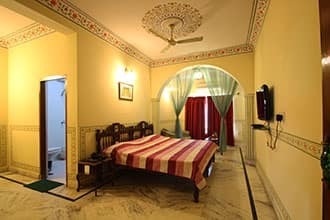 This heritage hotel in Jaipur is 90-year old property is rich with culture and history.Guests are accommodated in 22 opulent guestrooms. 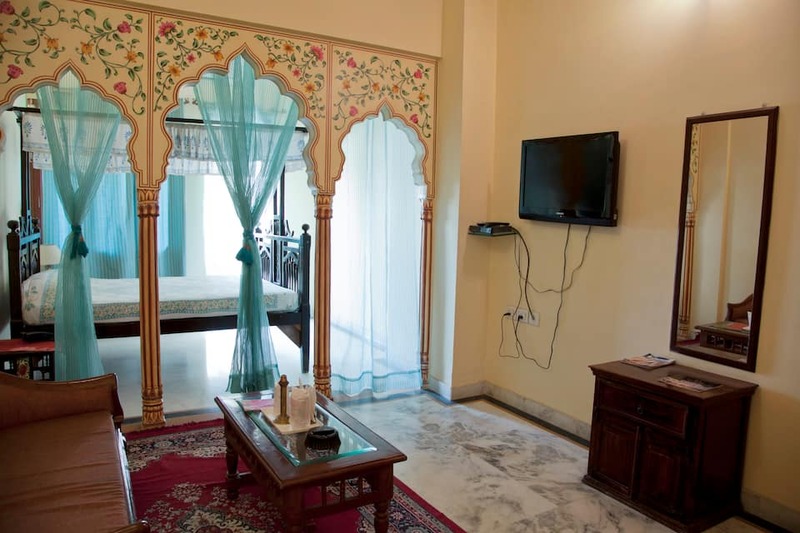 Some in-room amenities include an air-conditioner, television, telephone, minibar, tea/coffee maker and attached bathroom. 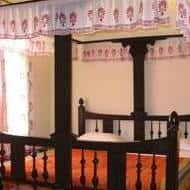 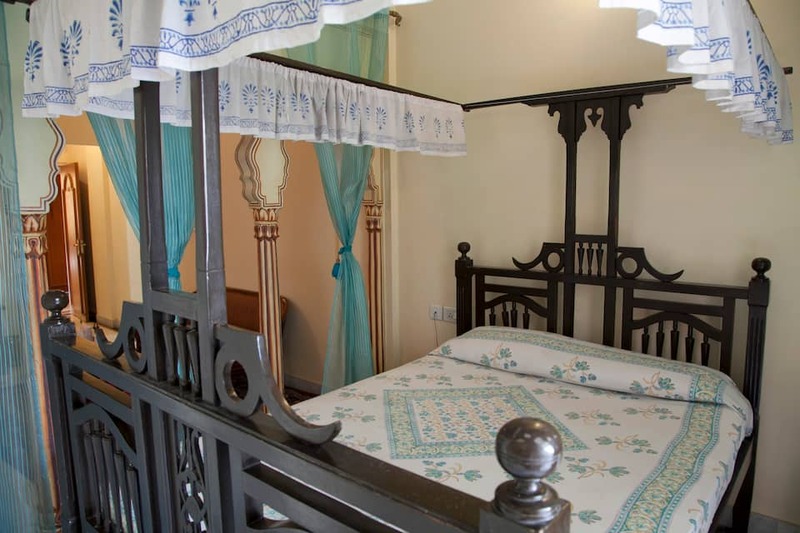 Additional living areas and a four-poster bed are also featured in the suites.